Online shop marketing is currently a very important practice. This is due to the fact that competition in the industry is high, and companies outdo each other in promotions or other ideas to attract the attention of the customer. This issue does not apply only to brands with an established position on the market. The owners of newly established online stores also should take care of online visibility of their domains. Good visibility in search engines is a guarantee for increased user interest and a better conversion rate. Only the work of experienced specialists will be effective. They can thoroughly analyze the website, optimize it and implement the tools necessary to develop a good position in browsers. What are the issues that pay attention during the positioning process? By defining the effect of working on a better visibility of the website, it is easier to set an internet marketing strategy. Keywords, action plan and tools needed to implement it – these are just a few issues that are selected based on the business goal. This is another and one of the most important stages of work on a better position in the ranking of browsers. They are selected by analyzing the industry, expectations related to the SEO work and the range that you want to achieve for the store. 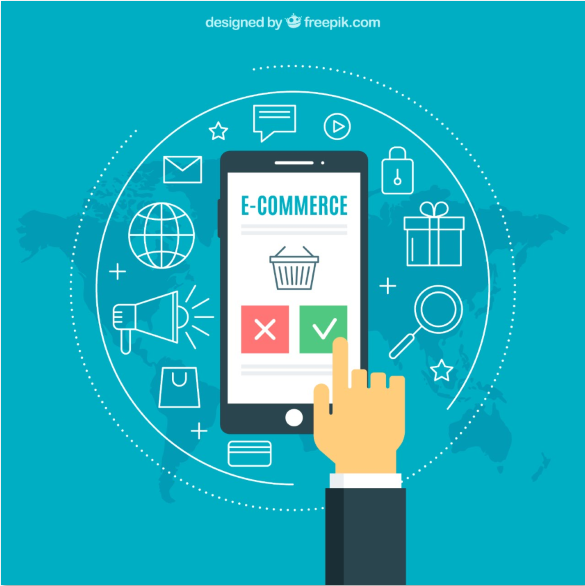 Success in e-commerce depends largely on them! In order to make the site appear as one of the first responses to user requests, it is necessary to carefully analyze its structure. Thanks to this, you can find out which elements need improvement and optimization. An SEO audit is a document containing just such guidelines. Its implementation is one of the first and at the same time necessary steps towards a better position. Its implementation allows you to start proper work on positioning. The most important ones will certainly be Google Search Console and Google Analytics. However, the use of additional help in the field of positioning will also depend on the specificity of the industry and the company itself. Thanks to the change of address from HTTP to HTTPS, i.e. the implementation of the SSL certificate, the site gains credibility. Why? The data placed in its forms or subpages is then particularly protected. So there is no fear that they will be stolen – and this is especially important, because every day thousands of e-commerce customers enter sensitive information needed to complete the transaction. Both content and technical aspects of placing it on the site are important. The content should be valuable, interesting and arouse interest of users. Google values original texts, so you can not use the practice of copying them from other websites! Additionally, headers should be properly defined – from H1 to maximum H6. Thanks to the use of keywords in them, a better store position is achieved! The page reference network is another necessary SEO practice. It helps to improve the visibility of the website in search engines. Internal and external linking conquers the e-store result. Additionally, it increases the chance of users switching to selected subpages of the website. This, of course, is one of several selected issues that SEO specialists deal with when positioning in e-commerce. Very individual activities are also often used, suitable only for selected sites. That is why it is worth trusting the internet marketing agency and entrusting it with the success of your online store.